The artworks of the exhibition “Erasing silences” have been created between since 2017 during an artist residency in Soulangh Artist Village in Tainan, during an exchange program between Soulangh Artist Village and Taipei artist village, during “La Nuit des idées” at the CKS Memorial organized by Le Bureau Français de Taipei and during a one week performance in VT Art Salon neighborhood. Those four chapters are a part of a larger project titled “FORTUNES” which is a collaborative work combining photography and drawing, documentary and contemporary mythology. Nicolas Havette works with groups of people from different social backgrounds living around his places of work, studio, galleries. He asks them to take pictures of their daily “landmarks” in order to draw the “mental map” of their territory. 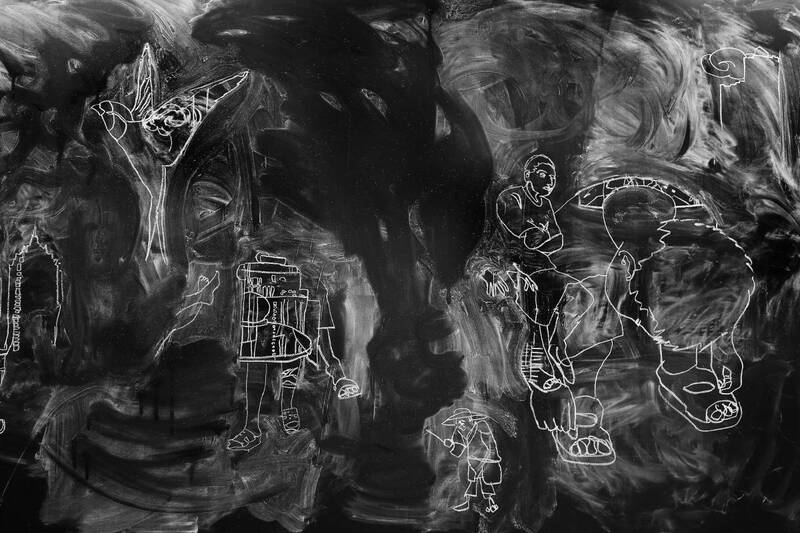 By combining and overlaying details taken by all the participants and by drawing them on black walls with chalks, the groups create a mysterious documentary mythology, an inner identity of the place they are living in. Inspired by French surrealism, his exhibitions mixed the original drawings and photography made during the drawing and erasing process. As our memory : the original drawings are made to be erased and only the pictures remain. FORTUNES is also an attempt to create a XXIst Century perspective system. We are used to represent the world with perspective systems which are based on single sights and eyes optical systems, but as our contemporary societies are entering the XXIst century on collaborative, and global projects, artists have to think how to re-adapt our representation systems to give forms which fit to our actual globalized world, and crossing datas and experiences. FORTUNES is an attempt to link our time to a new representation based on human experiences and mental representation of spaces. 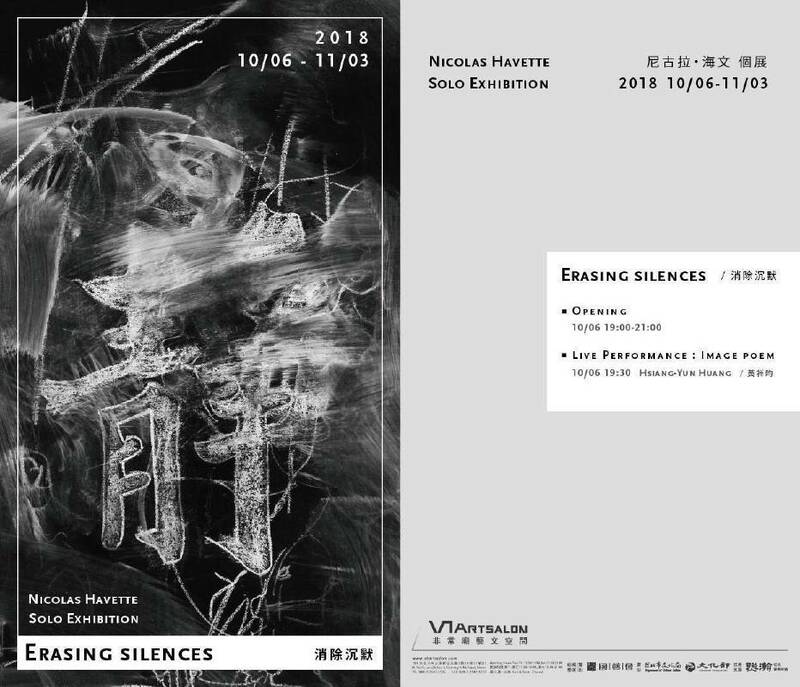 In the exhibition “Erasing silence”, Nicolas Havette get inspired by Taiwan history and contemporary challenges. The artist would like to thank for their support : Soulangh Artist Village, Taipei Artist Village, the French office in Taiwan and VT Artsalon.